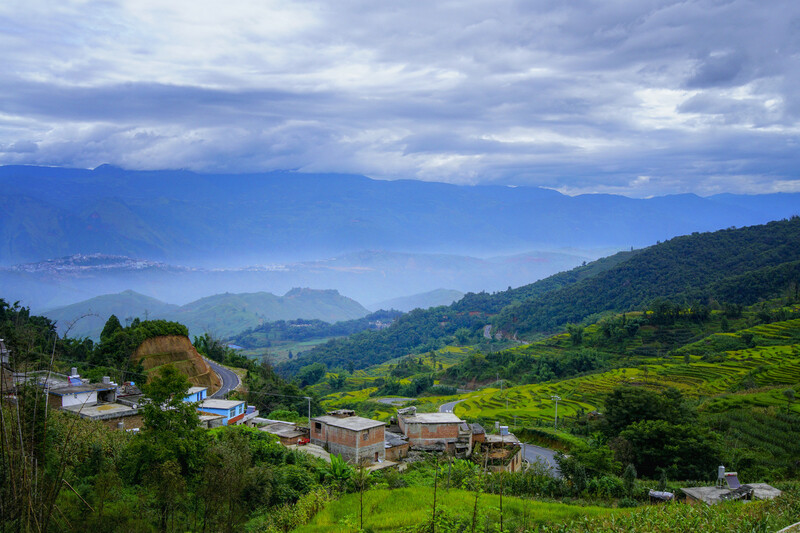 The popularity of Honghe Hani Prefecture as a tourist destination has shown an upward trend in the last few years due to various reasons. 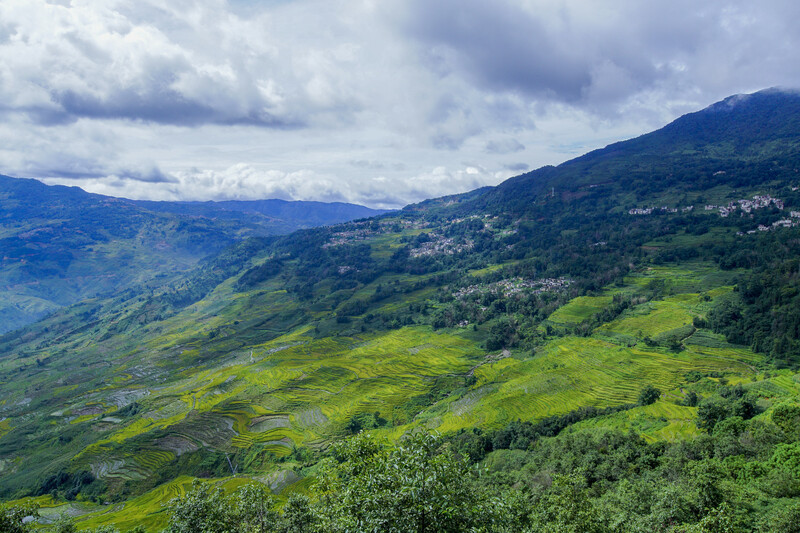 Its beautiful landscape of mountain ranges covered by dense virgin forests is one reason. 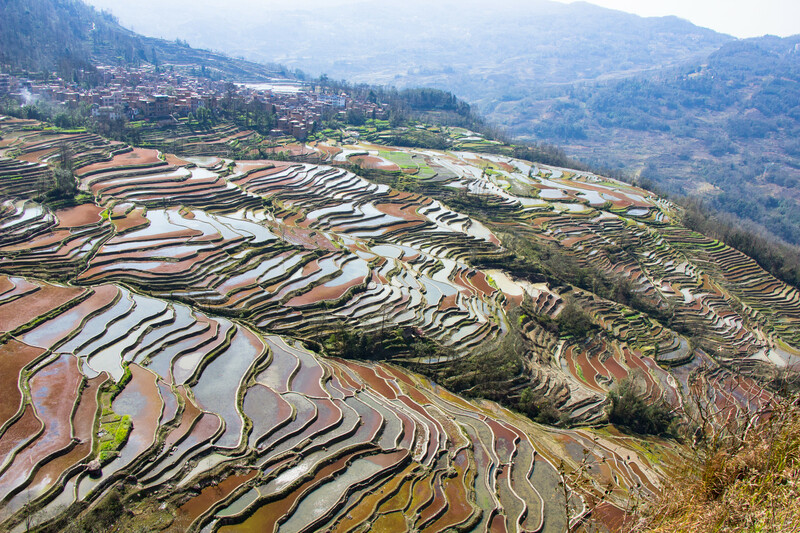 The spectacular Honghe Hani Rice Terraces in the Yuanyang County are listed as UNESCO World Heritage Sites, which is the second reason for the region’s popularity. The terraces have been an inspiration for many painters, poets, and authors for centuries. Fossils excavated in the Kiayuan region of Honghe Prefecture has shown evidence that region is one of the birthplaces of humans in China. The discoveries also showed that Jianshui, Gejiu, and Mengzi were prosperous cities and powerful political and cultural centers. Shiping town has a long history of famous literati, whose talent is considered far superior to other writers of China. Like the Han Chinese, the Hani people are also very fond of celebrating seasonal and religious festivals. The June Festival in summer is celebrated for six days starting on the 24th of June each year as per the Chinese calendar. As part of the celebrations, the people sacrifice an ox to the heavens, offer grass to the horse God, organize wrestling competitions, and enjoy rides on the turn-swings. The Jianshui Xiaodiao Folk Song and Dance performances are an entertaining experience. The Autumn Festival is celebrated in the month of October as per the Chinese calendar. It is the most ceremonious festival when the residents of the stockade villages arrange a long line of tables along the main street. The tables are loaded with typically Hani-style food specialties. The line of tables is so long that it is called the Long Dragon Banquet. All the villagers share the meal and wish each other happiness. Similarly, the villagers also celebrated their New Year festival. If tourists are present in the village at the time of these festivals, they have to remain there till the festivities are over because the villages are stockade till the celebrations are over. 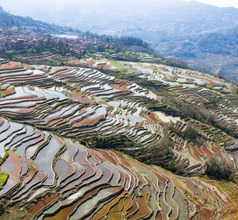 The rice terraces in Yunnan Province are spread over a vast area of 667 square kilometers. 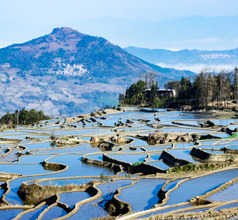 They are found in the Honghe, Luchun, Yuanyang, and Jinping counties of Honghe Prefecture. 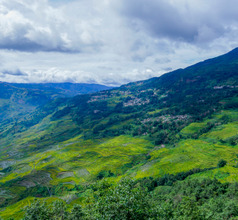 The Honghe Hani Rice Terraces (UNESCO site) located on the slopes of the Ailao Mountains near the Hong River are the most spectacular ones in the region. They look so beautiful, that they have inspired many artists over the last 1,300 years. The prefecture also has a glorious history of learning. The Jianshui Confucius Temple constructed during the Yuan Dynasty is the 3rd biggest Confucius temple in China. The Swallow Cave in the mountains is the largest cave in Asia and is a magnificent sight. 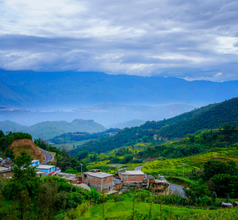 Other tourist attractions include the Zhu Family Garden and the Tuanshan Village that have existed since the Qing Dynasty. The Grand Mosque of Shadian in the Gejiu County of Honge Prefecture is an architectural beauty and Alu ancient caves in the Luxi County are must-sees too. For those who like ancient buildings, the Jianshui Old Town has more than 50 beautiful structures that showcase the rich history of the region. 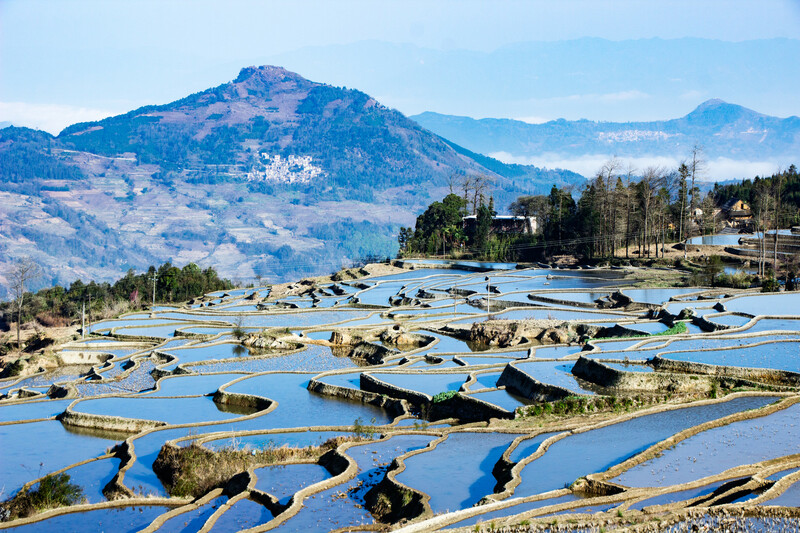 Being a prime tourist zone, Honghe Prefecture has countless tour operators who organize trips to visit the splendid tourist attractions. They provide an English speaking tour guide who can double as an interpreter. The cuisine of Honghe Prefecture is spicy and consists of locally available ingredients like wildflowers, ferns, insects, algae, wild mushrooms, etc. The cuisine is a blend of the local Hani style and Dian style of the province. Not only is the pomegranate fruit popular but the pomegranate flowers are also considered a delicacy in the region. Some of their specialties are rice-noodle soup with chicken, pig's kidney and liver, fish and pickled pork, banana flower, “Crossing the Bridge Noodles”, Adzuki beans, Lufu bean-curd, Shiping tofu, Xuanwei ham, etc.